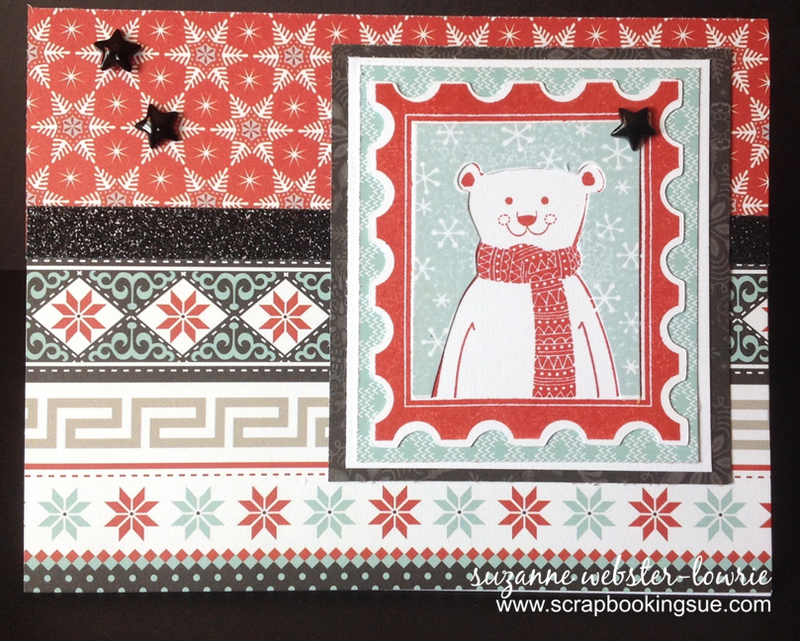 The CTMH October SOTM (Stamp of the Month) “Home for the Holidays” is such a festive holiday stamp set! But truth be told, it was this cute little polar bear postage stamp that REALLY made me want it! How adorable is this little guy? To create this 4.25″ x 5.5″ card, I started with a White Daisy card from the Card and Envelope set. 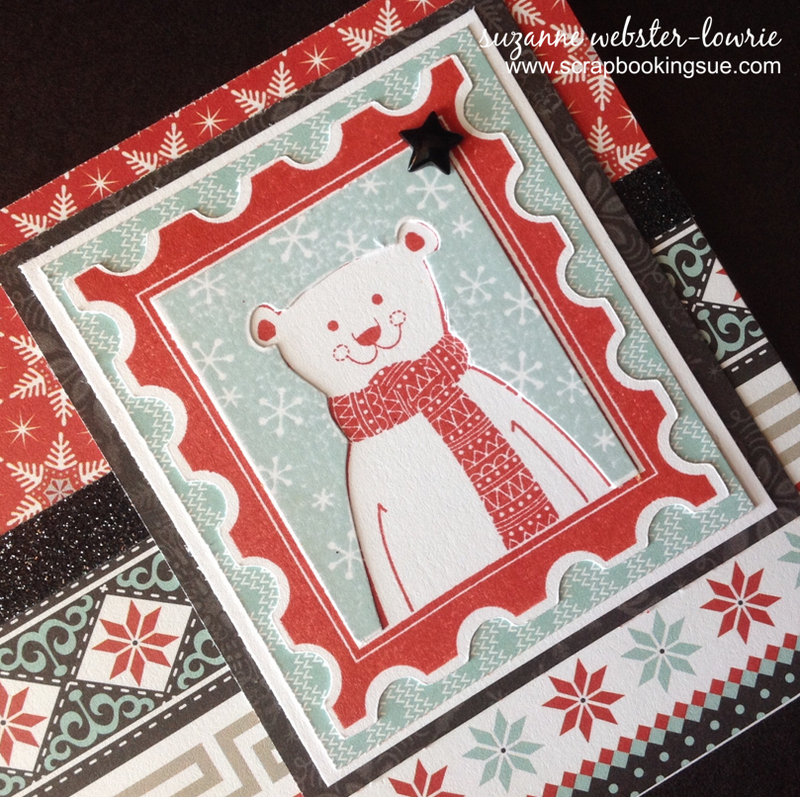 I used the beautiful patterned papers from the Snowhaven Paper Packet to decorate the front of the card and the polar bear frame. Most of the images in this stamp set are Cricut compatible with the Art Philosophy Cricut Collection, including the polar bear stamp. First, I cut out the polar bear postage stamp outline – in the recommended size – with my Art Philosophy cartridge. The polar bear was stamped in Cranberry ink onto the pre-cut image. Next, I stamped the image in Glacier ink onto scrap White Daisy cardstock. I cut out the Glacier snowflake background and glued it around the polar bear image to create a different color background. 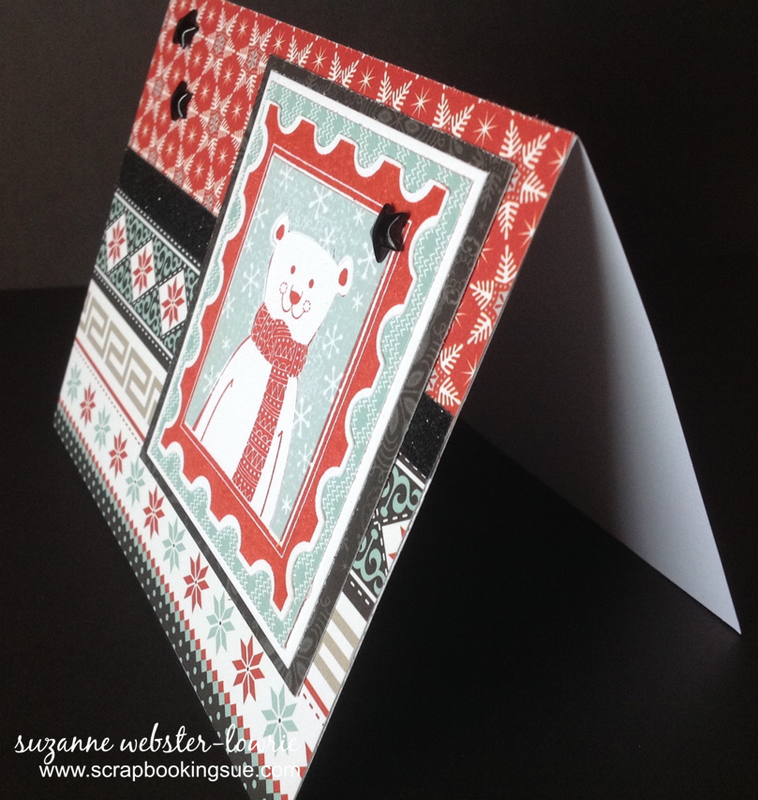 Before gluing down the polar bear postage stamp image, I added a strip of Black Shimmer Trim across the width of the card and glued the image on top. To finish it off, I added some cute black enamel stars that I had from the Scaredy Cat Assortment Halloween set!